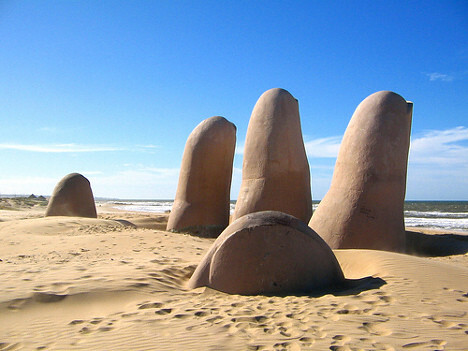 For some reason there are hundreds if not thousands of large outdoor hand sculptures around the world, the majority of which seem to be reaching towards the sky in an attempt to escape life below ground. I'm a big fan of all things creepy so thought I'd show you 4 of the best examples. Here they are. The 11 metre tall Mano del Desertio can be found protruding from the sand in the Atacama Desert, Chile, and has been standing alone since 1992 when it was inaugurated. 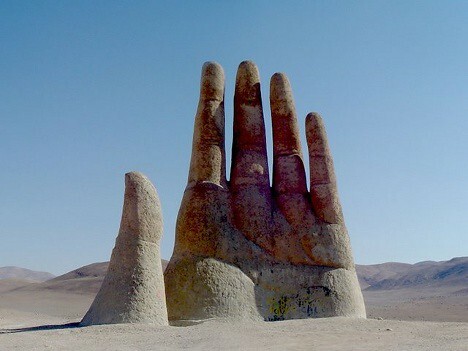 Made from a combination of iron and cement, the huge hand was designed and built by Chilean sculptor Mario IrarrÃ¡zabal, the man also behind 'The Drowned', seen below. Designed by Mario IrarrÃ¡zabal in 1982, Then Drowned was initially built as a warning to sunbathers about the dangers of drowning in Punta del Este, Uruguay, and I can imagine the sculpture definitely keeping people away from the water. The piece of art was so well received by the public that IrarrÃ¡zabal went on to make hand sculptures in Chile, Venice and Spain. 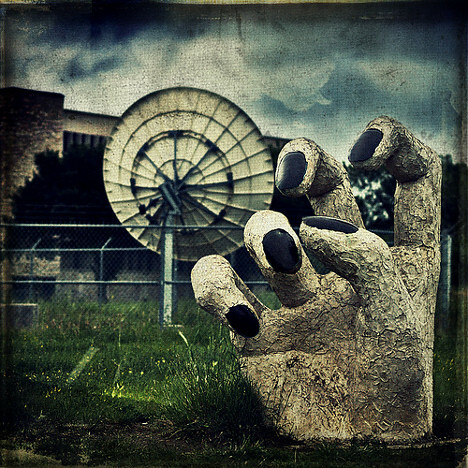 I've found it extremely difficult to uncover any information about this extremely creepy hand's exact whereabouts, but what I do know is that it can be found somewhere in Saskatoon, Canada, quite near the University. I've no idea of the sculptor's identity. Regardless, it's incredibly eerie. 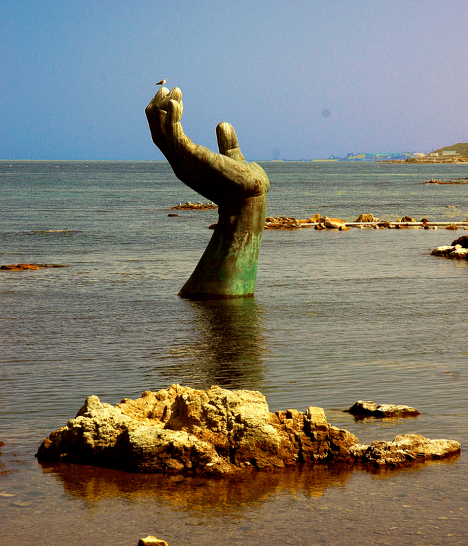 The Hand of Harmony is just one of many sculptures on Homigot Beach in South Korea but is also the most widely recognised. The hand is made from bronze and granite, was built in 1999 and apparently is meant to symbolise 'continuing efforts of all Korean citizens to pursue a better quality of life'.